It might not have felt exactly the same as Furman's thrilling two-point win its last time out, but the Paladins pulled out another thrilling two-point win Tuesday. Coming off a last second 60-58 victory at Loyola-Chicago that gained national attention Friday, Furman may have been due for a hangover in its first game back on the court. As it turns out, that hangover didn't hit until the second half Tuesday. While the Paladins blew a 13-point halftime lead, Furman found a way for an 88-86 overtime win over Gardner-Webb. "A win is a win," Furman senior center Matt Rafferty said. "You've got to enjoy every one of them because winning's tough." After the Runnin' Bulldogs chipped away at Furman's lead throughout the second half, they took their first lead since the 16:50 mark of the first half 16 seconds into overtime. Gardner-Webb led 83-80 with 3:57 left when Furman strung together a pair of much-needed stops defensively. With 2:07 left in overtime, Jordan Lyons hit his first shot since the 19:16 mark of the first half as his first 3-pointer tied it up. Lyons then made a steal and a layup that put the Paladins (3-0) back in front for good. Lyons was able to get the go-ahead shot to fall despite getting hacked to the floor on the play with no foul called. "Jordan had a tough night offensively, but a lot of that was due to Gardner-Webb's game plan," Furman coach Bob Richey said. "But he hit the big shot and that's what I love about him." On Gardner-Webb's next possession, freshman Jose Perez - who had 23 points and seven rebounds off the bench - missed a layup and Tre Clark got the rebound. 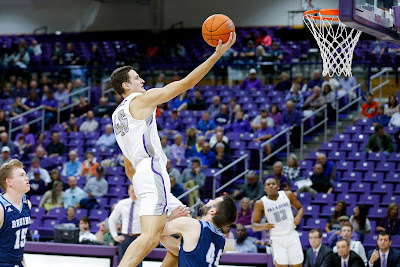 Rafferty then grabbed a huge offensive rebound that allowed Furman to run some more precious seconds off the clock before Clay Mounce's tip-in pushed the lead to 87-83 with 23 seconds left. Furman hit just 1-of-4 free throws over the final 13 seconds, leaving a slight bit of hope for Gardner-Webb. Eric Jamison's halfcourt heave at the buzzer bounced off the backboard no good though as Furman survived. "Obviously, it wasn't the prettiest night but we'll take it," Richey said. "Offensively, we did a pretty good job for the most part. We shot 53 percent from the floor, had 21 assists and 11 turnovers. These guys (Gardner-Webb) had turned VCU and Virginia Tech over on average of 20 a night. "What we've got to learn from is that we've got guard the bounce better. They basically went five guards, putting their head down and driving (in the second half). It wasn't anything complicated. ... Second, we've got to understand that a 13-point lead at halftime doesn't mean you just go out there and walk through the next 20 minutes and everything's going to work out." The Paladins opened Tuesday's game the same way they ended Friday's. Mounce caught an alley oop from Alex Hunter for a dunk to get the Timmons Arena crowd buzzing 17 seconds into the game. The rest of the half was the Rafferty and Mounce show. Rafferty had 17 points on 8-of-8 shooting with five rebounds and four assists in the opening half, while Mounce scored 11. A jumper by Mounce gave Furman its biggest lead at 44-30 with 49 seconds left in the half before Rafferty's layup with two seconds left staked the Paladins to a 46-33 lead at the break. While Gardner-Webb never led in the second half, it drew even four times - the first coming at the 9:06 mark. Furman still appeared in control with 1:55 left when Rafferty's layup gave the Paladins a 76-71 lead. However, David Efianayi hit four free throws and a 3-pointer over the final 1:36 for the Bulldogs (0-3). His free throws with 26 seconds left tied the game 78-78. Lyons didn't get a good look on a jumper that missed to send the game to overtime. "We responded to adversity in the overtime. They had all the momentum going into overtime," Richey said. "We experienced that last year at The Citadel and didn't respond, so to respond tonight is a step of growth." Despite having the lead for much of the final stretch of regulation, Furman was whistled for four of its 16 fouls over the final 4:53 of the second half. Meanwhile, Gardner-Webb committed 19 fouls but wasn't called for any over the final 6:30 of regulation. Mounce finished with a career-high 26 points with six rebounds, two blocks and a steal. While Mounce has earned a reputation for his highlight reel dunks - which he had three of Tuesday, he knocked down some jumpers including 3-of-5 3-pointers. "We had some guys step up especially from the edges with Clay hitting three 3's and Noah (Gurley) hitting two with Andrew out," Richey said. Rafferty matched his career-high with 24 points and also had 10 rebounds and six assists. Making his first career start in place of injured Andrew Brown (ankle), Gurley had 12 points, six rebounds and two steals. Hunter and Lyons each finished with eight points, and Hunter also dished out a career-high seven assists. Brown was not dressed out and was in a walking boot Tuesday. With Brown out indefinitely, Richey said the coaching staff decided to take the redshirt off freshman Jalen Slawson. While he only played two minutes Tuesday, Slawson contributed a big block and a rebound. "To be honest with you, I made a few mistakes tonight and one of them was not playing (Slawson) more. I just thought he played hard," Richey said. "He sat down in his stance and guarded, which was one of the main issues for us tonight. We didn't take pride in guarding the basketball."